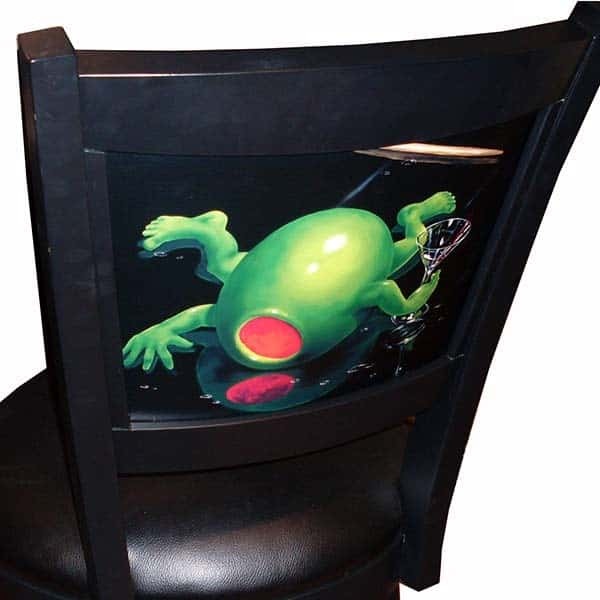 The “Rockstar of the Art World,” Michael Godard, has taken his light-hearted and satirical approach to fine art and has applied it to East Coast Innovations’ bar and game room furniture. The Passed-Out Olive Bar Stool features one of Godard’s ubiquitous anthropomorphized olives who has graced one too many martinis. It’s not all about the art, however; this bar stool is built to be comfortable and durable. The Passed-Out Olive Bar Stool is constructed of hardwood and features a soft black leather seat. The high back is comfortably supportive and the fully wrapped footrest gives you somewhere to rest your feet. 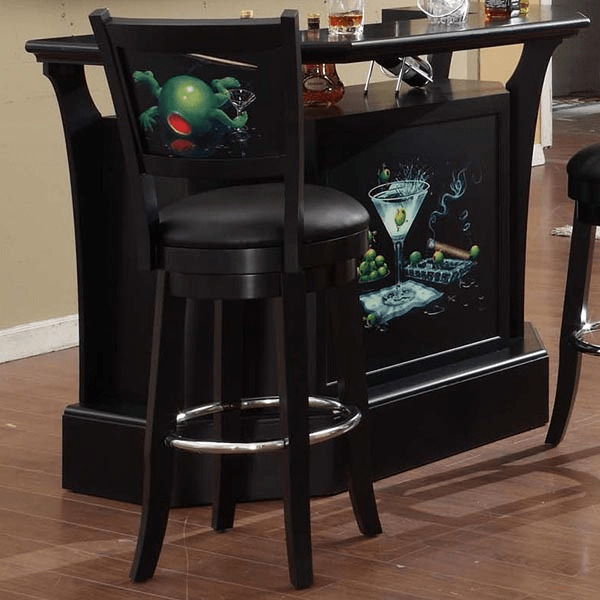 Give your game room or man cave a fun face-lift with this unique bar stool. Complete the look and add an Olive Party II Bar and “Bar Fly” wall bar.